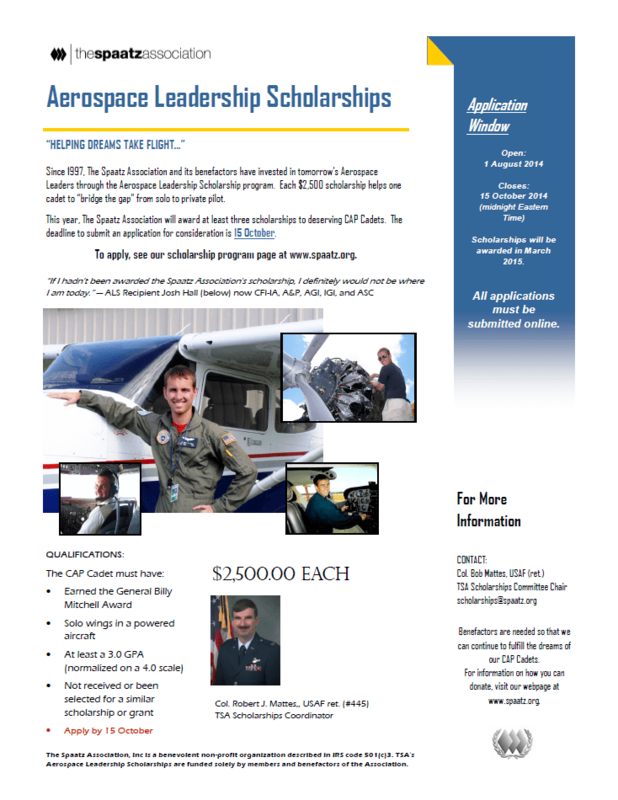 The application window for our 2015 Aerospace Leadership Scholarships is now open! Apply before 15 October for consideration. Click the graphic above for more information! Or click here to download a flyer you can post in your unit!